Internationally acclaimed artist, Harold Hall Robinson is currently finishing his 20th year as the principal contrabassist with The Philadelphia Orchestra. 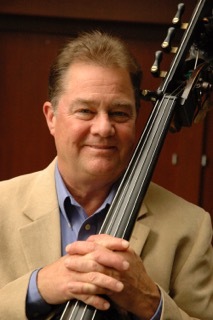 Prior to this, Mr. Robinson spent ten seasons as principal bassist of the National Symphony Orchestra, eight seasons as associate principal of the Houston Symphony Orchestra and three seasons as principal of the New Mexico Symphony Orchestra. A prize winner at the 1982 Isle of Man Solo competition, Mr. Robinson has performed concertos with The Philadelphia Orchestra, the National Symphony, Houston Symphony, New York Philharmonic, the Rhode Island Philharmonic, American Chamber Orchestra and the Greenville South Carolina Orchestra. In addition, Mr. Robinson is known for his outstanding recitals and master classes throughout the United States. Mr. Robinson is currently on the faculty of Curtis Institute and Juilliard.